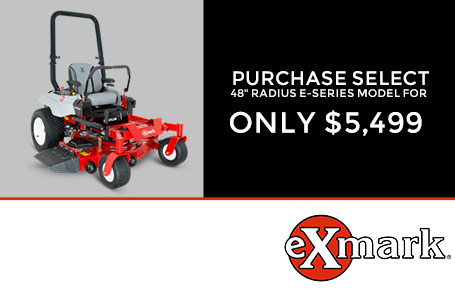 The Exmark Radius E-Series provides the best of both worlds: The commercial grade features lawn professionals need, like 3-Series (5" deep) UltraCut decks, maintenance-free spindle assemblies and a powerful Exmark 24.5 HP, 708cc V-twin engine, while delivering value that makes this zero turn mower attractive to anyone with a lot of grass to mow. 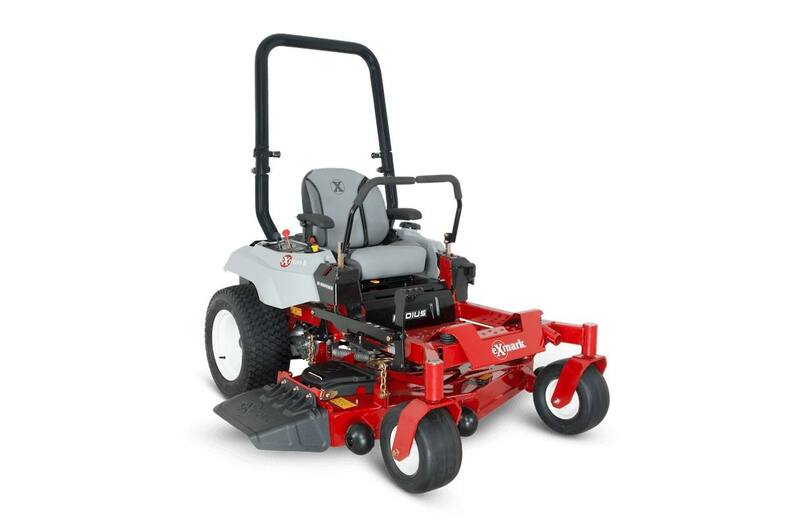 Cutting deck widths available: 48-, 52- and 60 inches. Large Caster Tires: Every Radius model is equipped with large front caster tires. 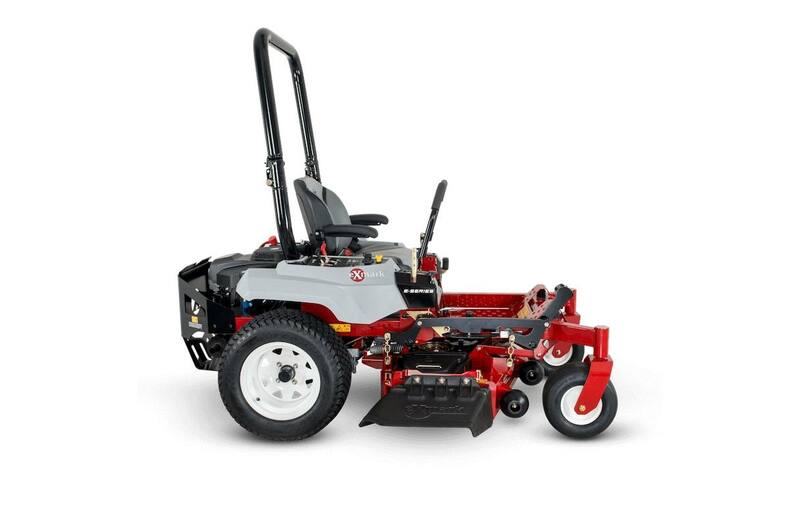 13" x 6.5" pneumatic tires come standard on all Radius models. 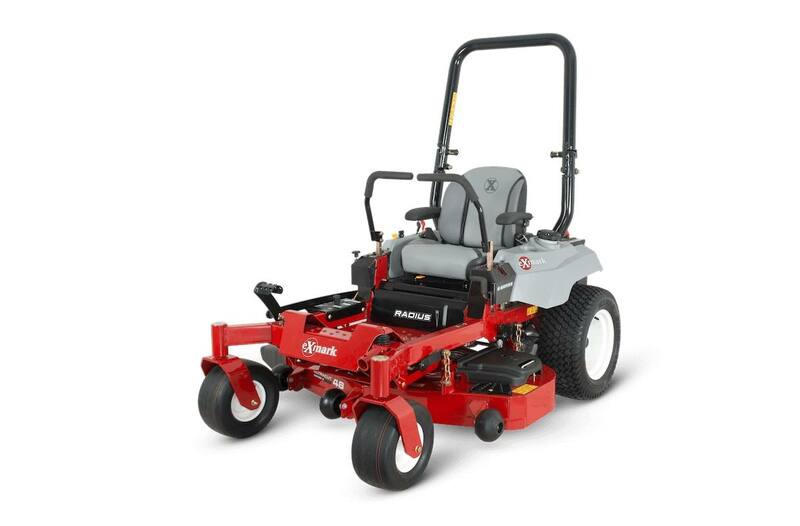 Powered by Exmark Engine: Equipped with Exmark's commercial-grade 24.5-horsepower 708cc V-Twin engine that features a dual barrel carburetor, cast iron cylinder liners and a quick oil drain hose raises the bar for productivity, durability and value. 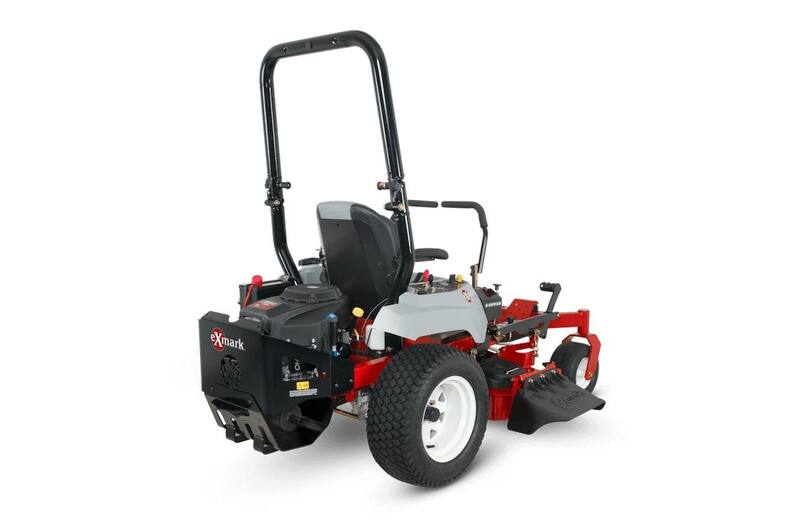 Drive Description: Dual Hydro Gear ZT2800, hydrostatic transmission with charge pumps, relief valves and independent, replaceable filters. 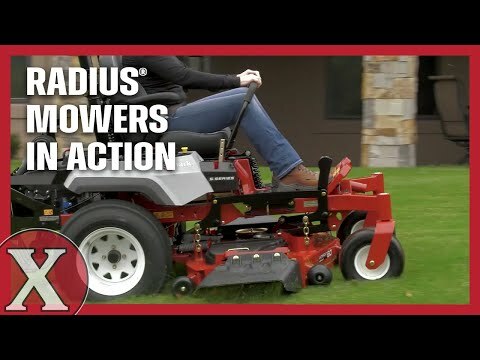 Speed: Infinitely variable speed selection from 0-8.0 mph (12.9 kmph) forward, 0-5.0 mph (8.0 kmph) reverse.